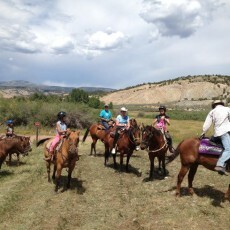 Mountain Valley Horse Rescue is our flagship site for Destination Rescue. Without the initial programs founded here, and the continued interaction and mutual support at MVHR, Destination Rescue simply would not exist. At Mountain Valley Horse Rescue, our programs use Equulinguistics Equine Assisted Therapy. This is one of the ways that Equulinguistics uses horses to help people. It has been scientifically proven that electromagnetic fields exist. We know that the planet, animals, plants, and even we ourselves have electromagnetic fields. As humans, we generate these fields ourselves by being alive, our heartbeats, and animals do the same. Plants generate them by the motion that occurs within their cells, and the Earth generates its field by its spinning. Electromagnetic fields have different names across the globe and in different cultures. Some call them just Energy Fields, some say Life Force, some say Qi or Chi, are just a few. We sometimes notice these fields in our daily experience, such as when you are aware of someone walking silently up behind you, or when you are drawn to do something like taking off your shoes to walk in the grass. We live the majority of our lives with our electromagnetic fields enmeshed with that of the Earth – we have our feet on the ground most of the time. When we change that by touching an animal, or by getting on the back of a horse, we change the way that we think, just a little bit. That same change in perspective can be enough to help a person change in larger ways… Like felling happier, more confident, and being able to let go of bad habits. In Equulinguistics Equine Assisted Therapy, we use these small changes in the ways that we think, caused by being on the ground near horses, touching horses, and by being on the back of a horse, to create more comfortable ways of interacting with life. We work to bring about positive changes in behavior that can be reflected in daily life.